When I started my own business almost a year ago, my wife gave me the Productivity Planner as a gift. I directly started to use the Productivity Planner to structure my tasks and to control my own work. 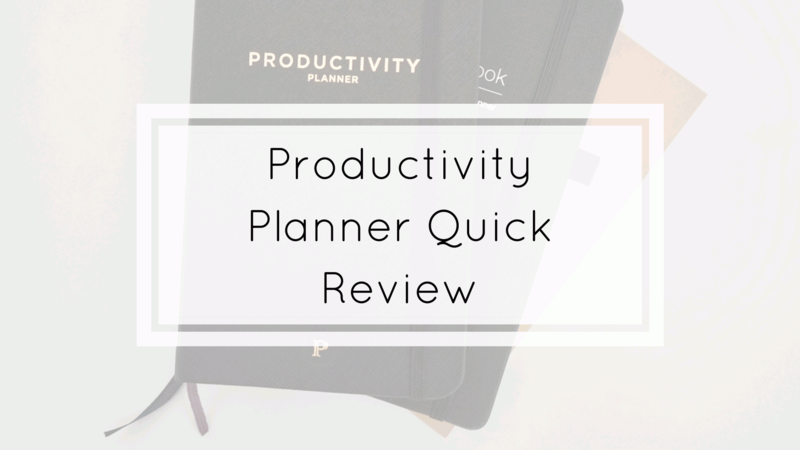 ToolsofExcellence is all about productivity so I thought why not making a quick review about the Productivity Planner. What is Productivity Planner about? First of all, I will call the Productivity Planner PP because it´s easier for me to write it down ;). PP is about organizing, prioritizing and rating your tasks and goals with the Pomodoro Technique®. On the first pages, you will get a good explanation how PP is working and how to use it. I never heard about the Pomodoro Technique® before but after reading in PP about it, it was prompt clear to me what it´s all about. With the Pomodoro Technique®, you write down your 5 most important tasks and rate them how much time you will need (segmented in 25 minutes per circle) and afterwards how much time you really spent. Between the 25 minutes circles, you take a 5 minutes break to stay focused on the next task. On the daily pages, you can also write down notes and rate your productivity of the day. Before the week starts you can write down all tasks you want to complete this week (15 tasks) and make a commitment on how to make this week more productive. you´ve learned this week and what action you want to do next week. I like this book for several reason. It gives you a kick to think about what you want to complete today and what you want to complete this week. Furthermore, it´s great to see how much time you think you will need for this task and then being able to see how much time you really spent. After using this technique for some time you get a much better feeling and self-reporting on how long it takes to accomplish different tasks. In the end, this technique, where you work on one task for 25 minutes and giving yourself a break for 5 minutes afterwards, really keeps you focused and stops you from procrastination. I can highly recommend the Productivity Planner, especially for Freelancers and people who are their own boss. Buy now the Productivity Planner.